I choose to participate in Peter MacCallum Cancer Foundation’s Unite to Fight Cancer on 27 October 2019, along with various pre and post event activities, which may include (but are not limited to) physical training activities. I acknowledge that my participation in all activities associated with Unite to Fight Cancer is voluntary, and that I alone am responsible for my health and safety and for any personal possessions I bring with me to these activities. 5) I consent to treatment in the event of an emergency or other incident in which, in the reasonable judgment of the on-site personnel, I require emergency or urgent medical care. I further agree to pay all costs associated with such emergency or urgent medical care and to indemnify and hold harmless the Relevant Persons from any costs or claims arising from such emergency or urgent medical care. I grant to the Senior Medical Officer of this Event and/or their delegate, access to my emergency contact information, medical records and treating doctor, as well as other information deemed necessary, relating to medical care that may be administered to me as a result of my participation in this Event. 6) I have read and agree to abide by all procedures of the Unite To Fight Cancer, and any amendments to such procedures that are in effect on the day of the Event. Furthermore, I will fully abide by any decision of any Event official, before, during, or after the Event. 7) I hereby acknowledge and agree that my entry fees and minimum fundraising amount shall be paid, in full, by the Entries Close date noted on the Unite to Fight Cancer website. 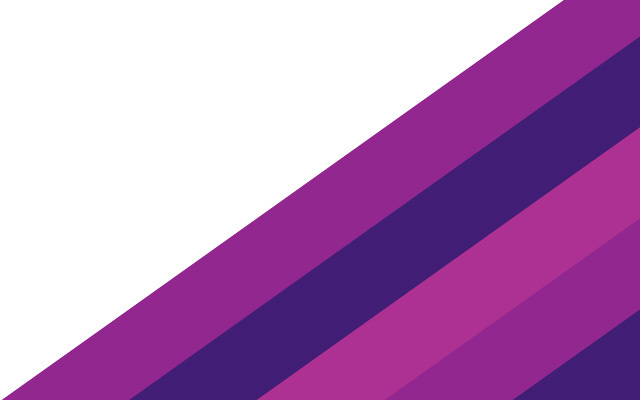 I understand that in order to ride, run or walk in Unite to Fight Cancer (and receive my Event pack and other Event paraphernalia), I must raise at least $750 for Peter Mac’s cancer research by 27 October 2019. 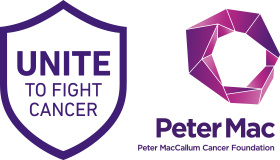 This will help Peter Mac to ensure Unite to Fight Cancer can make a significant impact in accelerating the search for cancer cures. If I have not raised $750 by 27 October 2019, I may choose to make my own donation to reach that minimum and participate in the Event. I understand that I will receive support to reach my fundraising goals. I further understand, only participants who reach the minimum $750 will be able to participate in the Event as runners, walkers or riders. 9) I acknowledge that videos and photographs will be taken at the Event. In consideration of being allowed to participate in the Event, I hereby grant permission for my name, likeness, statements and voice, and any other relevant information, in the form of or as incorporated into photographic, audio, visual, audiovisual, and any other media produced by or for the Event to be used by a Relevant Person for any marketing and promotion purposes related to or relevant to Unite to Fight Cancer or other activities which help to enable the mission of the Peter Mac and Peter MacCallum Cancer Foundation, throughout the world, in any media now or hereinafter developed and consent to have my name and Event results publicly posted. I further agree that no royalties or other compensation of any kind in connection with the Event shall be due at any time by any of the Relevant Persons. 10) I understand that my contact details will be used to keep me informed about Unite to Fight Cancer, and to keep me up to date on the work of Peter MacCallum Cancer Centre and the Peter MacCallum Cancer Foundation. I can opt out of communication at any stage. 12) I acknowledge that my name, image and fundraising total may be publicly shared for the purposes of publicly acknowledging my contribution to Peter Mac’s work, or for the purpose of helping to enable the mission of the Peter MacCallum Cancer Centre and Peter MacCallum Cancer Foundation. Having read and agreed to the conditions of participation as contained within this Entry Form, and knowing the truthfulness of the information that I have disclosed on this form, in consideration of the acceptance of this application, to the maximum extent permitted by law, I, for myself and for anyone for whom I am legally entitled to act, waive and release the Event Parties, including Peter MacCallum Cancer Foundation, Peter MacCallum Cancer Institute and Limelight Sports Pty Ltd, the directors, employees and representatives of the foregoing, from any claims or liabilities of any kind arising in connection with my participation in the Event even though such claims or liabilities may arise out of negligence of any such party. I agree to indemnify and keep indemnified the Event Parties and all of their officers, directors, employees, agents, representatives, successors and assigns, and each of them jointly and severally, of and from against all actions, suits, demands, claims, proceedings, costs, expenses (including reasonable attorney’s fees), liabilities and judgements whatsoever (including without limitation for negligence, breach of contract and/or breach of statute) arising out of, in connection with, or in relation to my participation in the Event and/or my commencement of any action, suit or proceeding now or in the future with respect to any matters waived, released or consented to under this waiver, including without limitation any claims for invasion of privacy or publicity or unintentional errors occurring in such use and publication.